Welcome back to The Bluebirds Nest! Today I will be sharing with you one of my very favorite go-to desserts. This is so easy and so delicious. My fireman always says he’s not going too eat too much of it like last time but ends up with 2 or 3 helpings and a tummy ache. 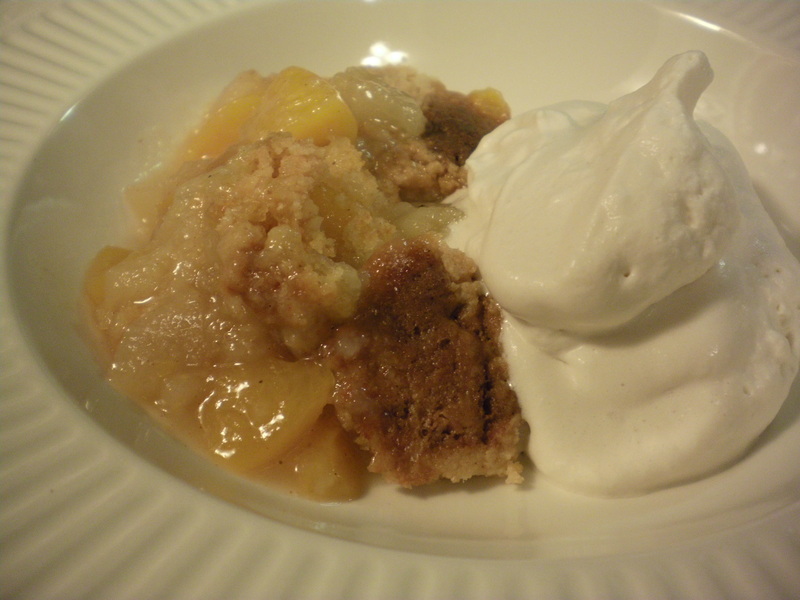 Even my little brother who is a notoriously tough critic raved about this cobbler. In other words, it’s so good it could bring tears to a glass eye. Nuff said. 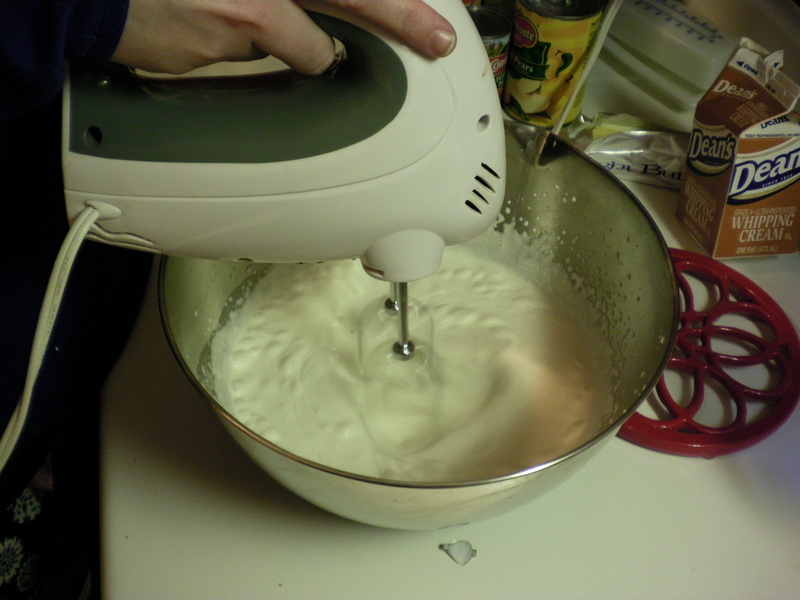 Make sure you chill your mixing bowl and electric mixer beaters before you make the whipped cream. Put the pint of cream in your bowl and start whipping it up. 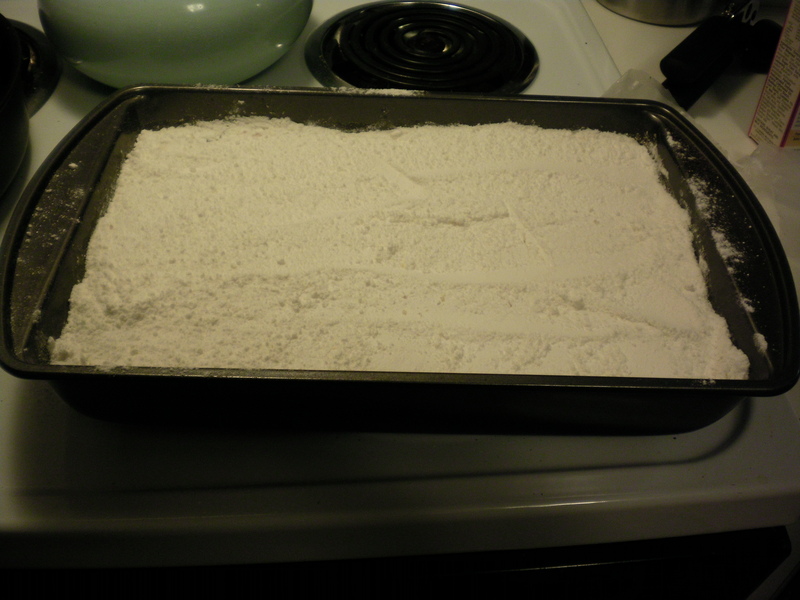 Once it thickens up a bit, add the sugar, and extracts. Continue beating on the highest speed til a thick and fluffy whipped cream consistency is formed. Chill in an air tight container in the fridge until just before serving. Pre-heat your oven according to the cake mix directions. 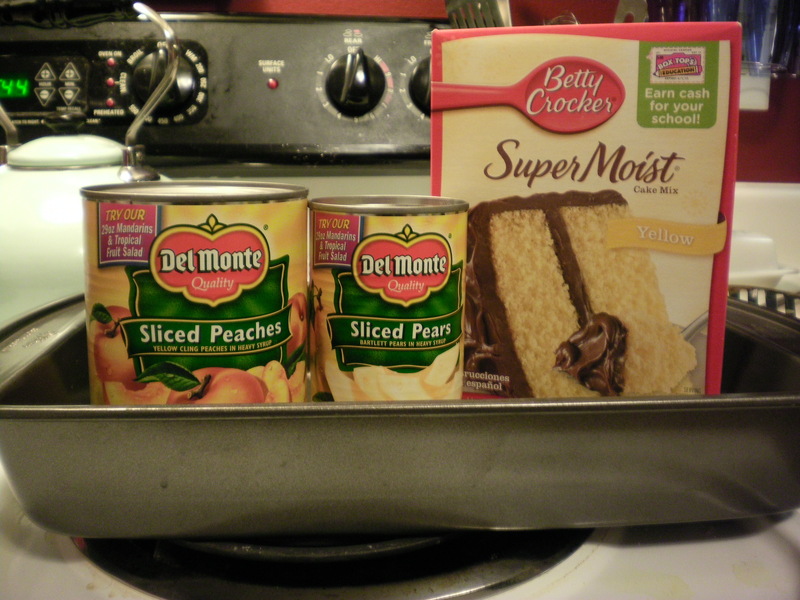 In a 9×13 pan, dump both cans of fruit and their syrups. Using a knife and fork, cut all the fruit slices up into small chunks. Add each pinch of spice (i use a big pinch of cinnamon, a medium pinch of nutmeg, and a small pinch of cloves) and stir the mixture around to combine. Pour the entire dry cake mix evenly over the top of the fruit. Smooth it out with a fork. 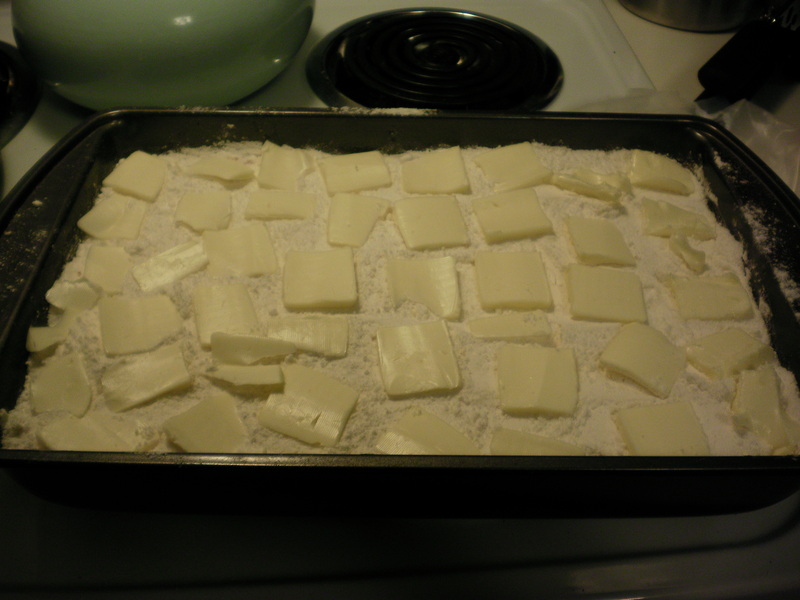 Using thin slices of cold butter, cover the whole top of the cake mix evenly. 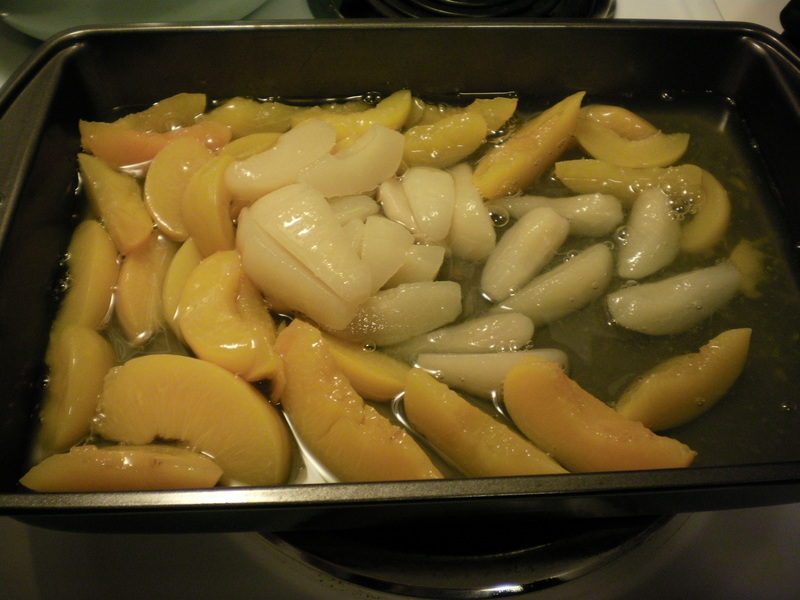 Bake the cobbler until the top is a deep golden brown and the fruit syrup bubbles around the edges. Let it cool for 5-10 minutes and serve in shallow bowls with a generous spoonful of Vanilla-Maple Whipped Cream. Enjoy this amazing cobbler with your family and friends as soon as possible. Go. Now!